Arctic Armor In Ground Leaf Nets 4 foot overlap. 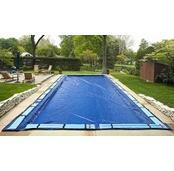 Install an Arctic Armor leaf net over your winter pool cover this fall and make spring opening quick and easy. The leaf net’s tight mesh traps even the smallest leaves before they reach your winter pool cover. 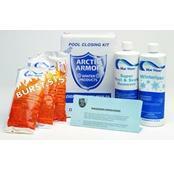 PcPools is an authorized dealer of Arctic Armor pool covers. 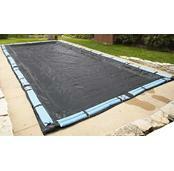 Buy a high quality in ground leaf net for your winter pool cover from PcPools today. FREE SHIPPING! If you live in an area where leaves are a problem invest in a quality Arctic Armor leaf net. Simply lay the leaf net on top of your winter pool cover when you close your above ground pool and remove it before the first snow. Your in ground winter pool cover will be virtually leaf and debris free and spring clean-up will be a snap. In ground leaf nets have gromets to keep them securely in place over your winter pool cover. 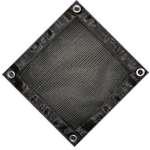 Black mesh fabric. Install an Arctic Armor leaf net over your winter pool cover OR safety pool cover this fall and make spring pool opening quick and easy. The leaf net’s tight mesh traps even the smallest leaves before they reach your winter pool cover or safety pool cover. Other brands of leaf nets have larger mesh that allows small leaves to pass through to your winter pool cover and decompose in the spring. Not Arctic Armor! Simply lay leaf net on top of your winter pool cover or safety pool cover when you close your pool and remove it before the first snow. 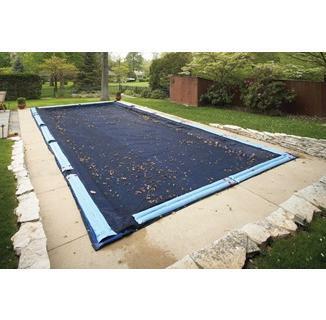 Your winter pool cover or safety pool cover will be virtually leaf free and spring clean-up will be a snap. 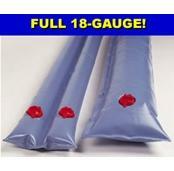 Eliminates that messy swamp of decaying leaves on your pool cover! Arctic Armor leaf nets are made from durable woven polyethylene and carries a 4 year manufacturer warranty. If you live in an area where leaves are a problem invest in a quality Arctic Armor leaf net. 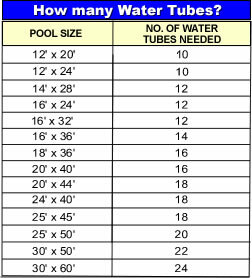 Arctic Armor in ground pool leaf nets have an extra 4-foot overlap for a secure fit over your in ground winter pool cover or safety pool cover. Black mesh fabric. Got to have it when there are leaves around!We get a ton of leaves and pine needles falling on our pool all fall. I dump the leaves off twice a fall before the snow falls. These pool leaf nets for are perfect for keeping those gross wet leaves out of the pool come spring.